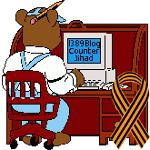 From the 1389 Blog Mailbox: “God Bless Delta Baggage Handlers” — 1389 Blog - Counterjihad! Thank Heavens for the Delta Baggage Handlers. It appears the present administration,White House, State Department and Department of Defense can’t be bothered with such trivial non headline events. I had no idea Delta does this. God Bless them! Next post: Unrest in Venezuela means freedom. Unrest in Ukraine, not so much!